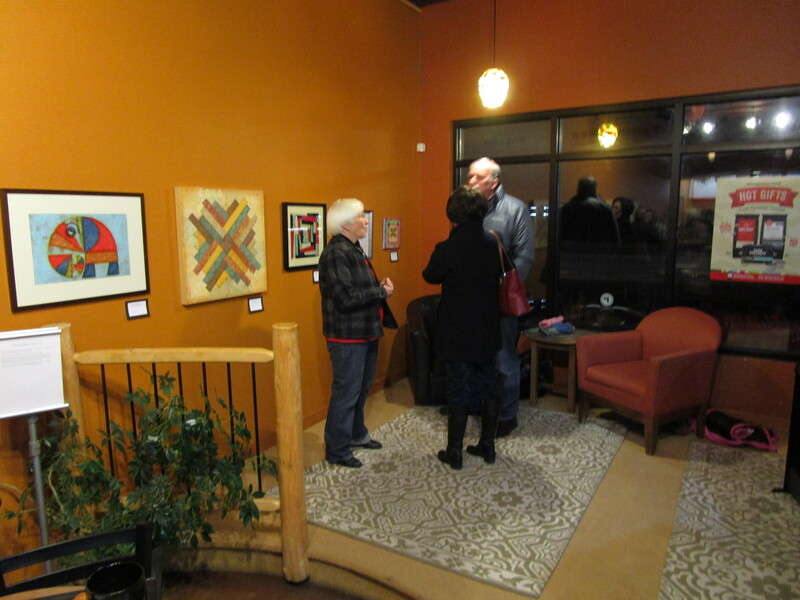 The show is hung and the party’s done! Many thanks to all the family and friends who attended last night and made it such a special evening. 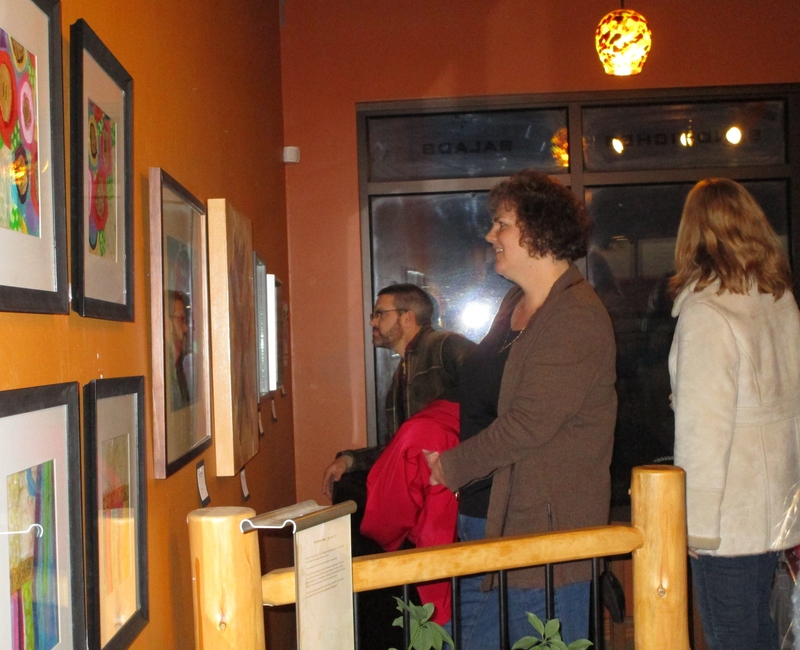 It reinforced that the best thing about art is community! To begin, the weather was beautiful for this time of year in Northern Minnesota! 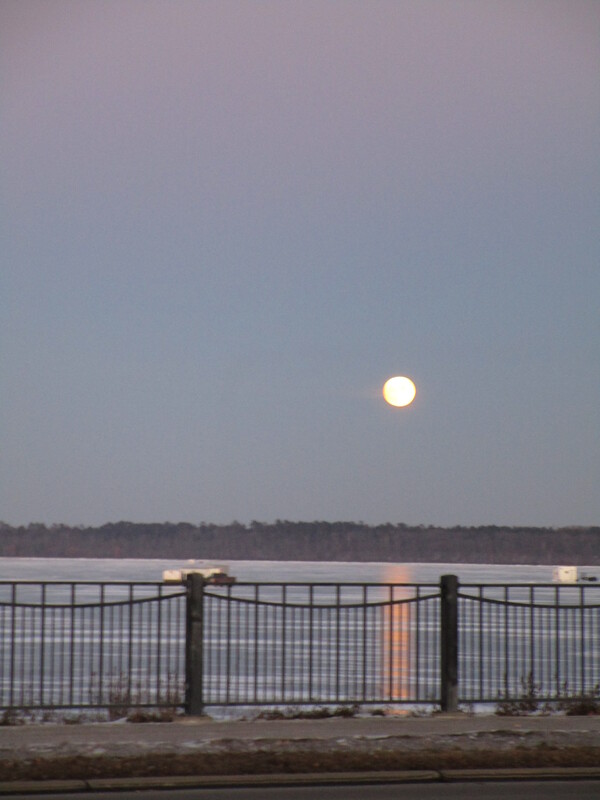 Moonrise over Lake Bemidji – Dunn Bros has a beautiful view of the lake. Photo taken just a few minutes before guests started to arrive! 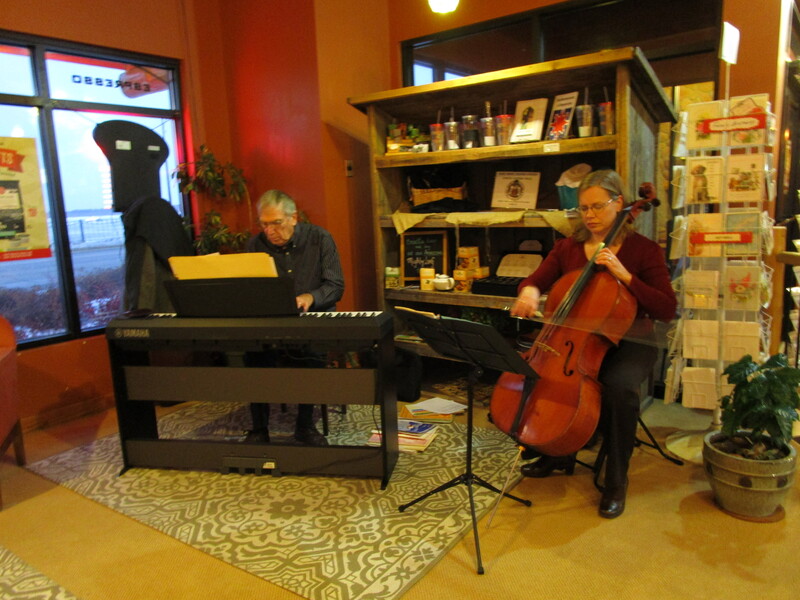 Sonja Connell and Jay Carlsgaard warming up. A beautiful father/daughter duo! 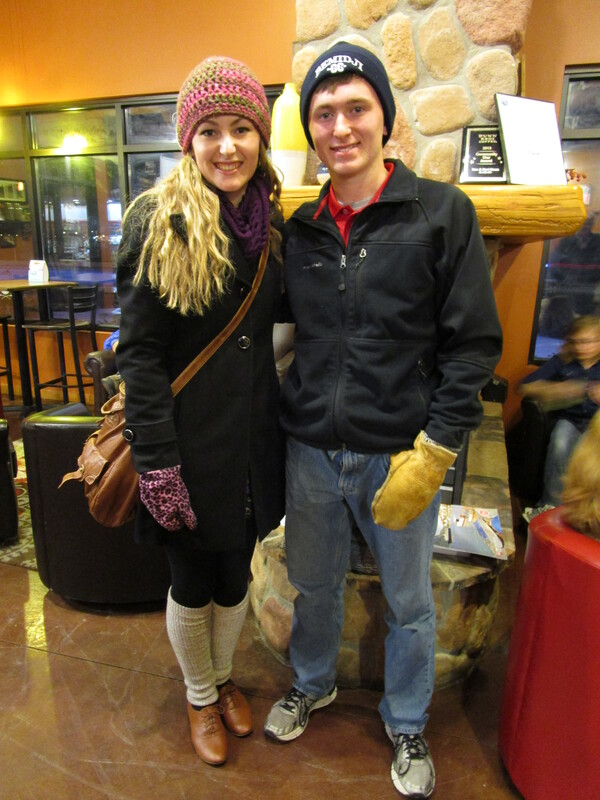 My two oldest children – love them! 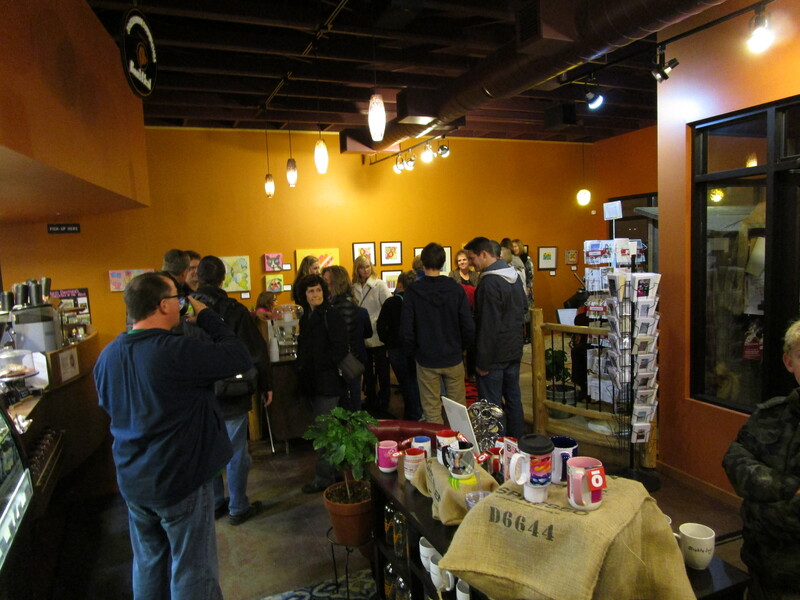 Thanks again to everyone who attended last night. Sonja, Jay and I were overwhelmed by the support of our friends and community, and their music made the evening all the more wonderful! 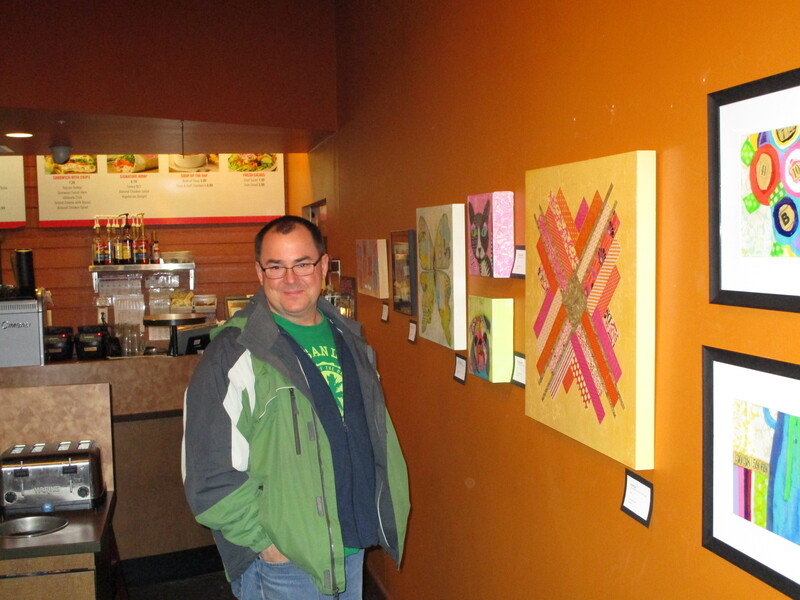 My art will be at Dunn Bros, Bemidji through December 30th for local friends who couldn’t be there. Thank you! I still have a lot to learn on WordPress, too. Have a great day.